Visual tastemakers have one thing in common: they know how to get our attention. By placing the everyday in the brighter context of the art world, fashion designers, artists and filmmakers highlight the sublime character of the things we so frequently perceive to be mundane. Luckily, these reinventions are happening right under our noses and all we have to do is keep an eye out. We’ve rounded up five of this season’s most cutting-edge and exploratory exhibitions and trust us when we say, these are not to be missed. 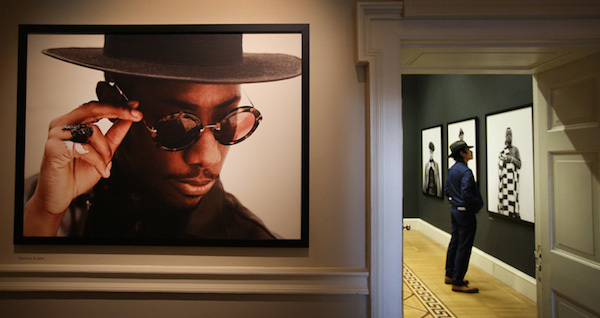 Touted as London’s most stylish exhibition, Dean Chalkley’s sartorial showcase leads us on a journey from Kingston, Jamaica to Saville Row to discover the roots of the rudeboy. Style, beauty, music and culture collide in this original exhibition to provide none too shabby portraits, a pop-up men’s grooming station and dynamic film screenings on the iconic aesthetic attached to to a booming British subculture. Past and present mingle here in an extraordinary and rousing fashion. 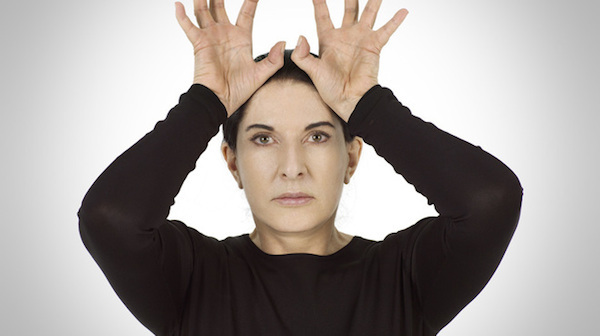 Say what you like about Marina Abramović, the artist is still very much present and will continue to be for a long time. The longest time to date, in fact. Over the last two months The Serpentine Gallery’s surrounding parkland has witnessed queues of culture vultures vying to step inside and face artist as she stages another existential interrogation into art and nothingness. No bags, no cameras or coats allowed; 512 Hours is just you, the artist, and as many bodies as the Serpentine can hold, getting to the heart of what this performance art lark is all about. 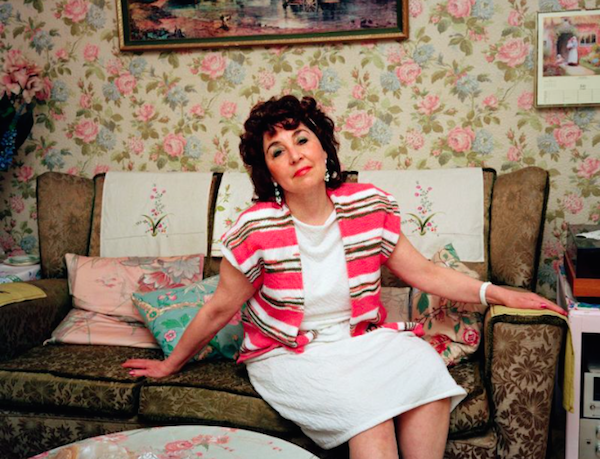 Photographer Martin Parr has gained notoriety by holding a mirror up to society and leaving it there, indulging our deep fascination with personal identity. This may be an art critic cliché, but in this case, it’s true. Signs of the Times features stills taken by Parr while shooting a 90’s BBC documentary, arguably one of the first reality TV shows, about Britain’s tastes, a sort of Grayson Perry’s A Question of Taste meets Big Brother. A bizarre, hilarious and consistently cringeworthy depiction of 90’s décor, fashion and sentimental tat, this showcase, half retrospective, half coffee table comic demands attention. Picking out the richest, most decadent parts of global culture and transforming them into pure couture opulence, Jean Paul Gaultier is a legend in our time. 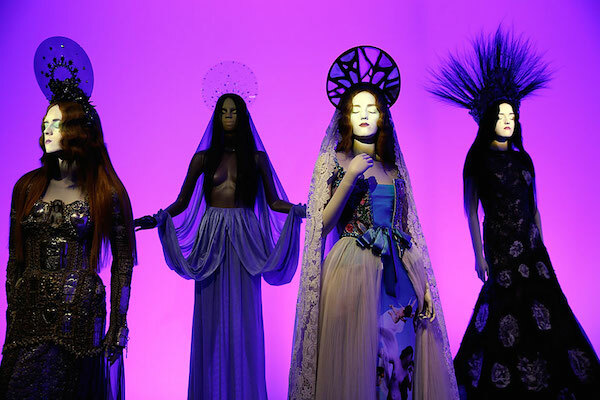 Employing sexuality, spirituality, counterculture and theatre in design, Gaultier has shifted the mood of fashion over the last few decades. What this exhibition proves is that art has, and will continue to own a role in the definition and innovation of fashion, performance and celebrity for years to come. Putting the ‘cut’ in cutting-edge, this is the show that everybody’s talking about. 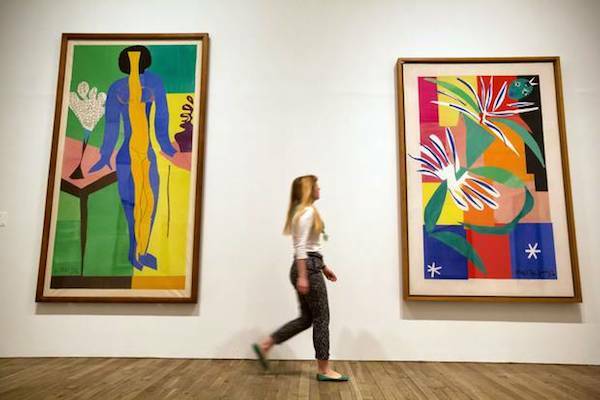 A joyful and inspiring sojourn into the later period of Matisse’s career, Cut-Outs lifts the spirit and provides an expansive insight into the master’s style, technique and the processes within his studio.120 works spanning from the 30’s to 50’s can be enjoyed at the Tate Modern until as late as 10pm. This exhibition is probably one of the brightest sights we’ll see after finishing work now that Autumn’s due to descend. Matisse is our late night silver lining.